Yvette Nolan is a playwright, director, dramaturg, writer and educator. Nolan was born in Prince Albert, Saskatchewan, to an Algonquin mother and an Irish immigrant father in 1963  . She was raised in Winnipeg, Manitoba, and during her childhood her family would travel to her mother’s home community of Kitigan Zibi in the summer months . She attended the University of Manitoba where she graduated with a B.A. in 1997 . Nolan’s writings and career are shaped by her experiences as a Metis woman living outside of reserves. She has called herself “a literal and metaphoric product of the residential school system” , not only was her father a math teacher at her mother’s residential school, but the effects of the residential school system are still felt across Canada in the opportunities provided to Native people both in and outside of the reservation system . Nolan debuted her first play BLADE at the Winnipeg Fringe Festival in 1990, launching her career in theatre. The show, based on an event that she witnessed in her own life, was extremely successful and was remounted again at both Best of the Fringe 1990 and the Women in View Festival in 1992. Nolan continued to write plays in Manitoba centred around not only aboriginal characters and experiences, but feminist messages and even AIDS education . Her 1990 play Everybody’s Business was the first AIDS education play to tour schools and prisons in Canada’s Prairie provinces. As a playwright, Nolan is unafraid to tackle diverse and troubling topics and confront the shortfalls in her own country and communities. She has said that for her, theatre is about giving voice to marginalized characters, telling stories that would otherwise go untold, and asking difficult questions. Some of her most noteworthy works include BLADE, Job’s Wife, Annie Mae’s Movement, Ham and the Ram, and most recently The Unplugging. She became the first writer in residence at Brandon university in 1996, where she completed her play ‘’Annie Mae’s Movement’’. Since then Nolan has had residencies at multiple universities and other institutions. She was the National Arts Centre’s playwright in residence in their 2007/2008 season , allowing her to bring Native Earth Performing Arts’ The Death of a Chief to the NAC stage. Nolan took another residency at Mount Royal College in Calgary 2009 . In 2011 she was the writer in residence at the Saskatoon Library and shortly afterward in 2012 she became playwright-in-residence at the University of Regina . Nolan’s work has taken her all over Canada. She has worked in Toronto as the Artistic Director of Native Earth Performing Arts from 2003 to 2011, where began her career in directing  Since then she has done work at the Gwaandak Theatre in White Horse, Yukon, Signal Theatre in Toronto, Ontario, and The National Art’s Centre in Ottawa, Ontario  among others. Most Recently Nolan co-directed Map of the Land, Map of the Stars at the Gwaandak Theatre, which will be running May 10th-19th 2016 . Nolan has spent a lot of time in her career building the infrastructure, and working to support Canadian and Native theatre movements. 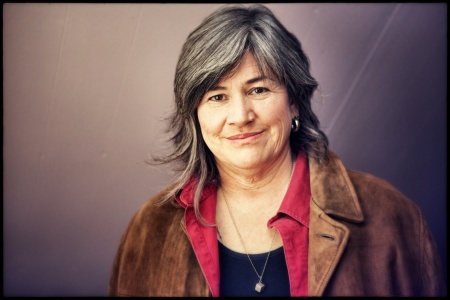 She was president of the Playwrights union of Canada (now the playwright’s guild of Canada) from 1998 to 2001, president of Playwrights Canada Press from 2003-2005, and President of the Indigenous Performing Arts Alliance from 2005-2007. In 2014 Nolan co-curated The Summit at the Banff Centre with Sarah Garton Stanley for the National Arts Centre’s proposed Indigenous Theatre . This project called The First Cycle, continuing with the The Study on Manitoulin Island, and the Repast in 2015, is laying the groundwork for the types of theatre which will be produced at the NAC’s Indigenous Theatre from 2019 onward. Nolan continues to work as an educator during and outside of her residencies at universities. Nolan is the author of Medicine Shows: Indigenous Performance Culture . Medicine Shows is a critical text which traces the development of contemporary Indigenous Theatre in the last 30 years examining how theatre has been used as a healing tool in Native communities. This page was last modified on 8 March 2017, at 12:52.